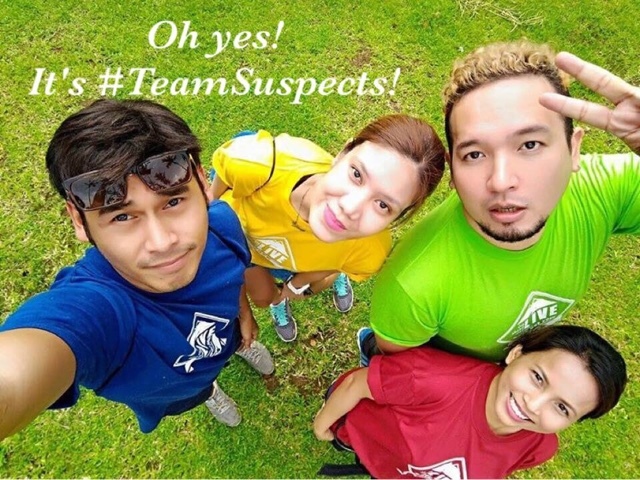 We had a great day of adventure down south together with Team Suspects this weekend and boy it was one for the books! We do spend quite some time with these folks in events but unfortunately we ended up in different teams and be with different people which is something we're really not comfortable with. We're that clingy and if you think about it, this is sort of out of our comfort zone. 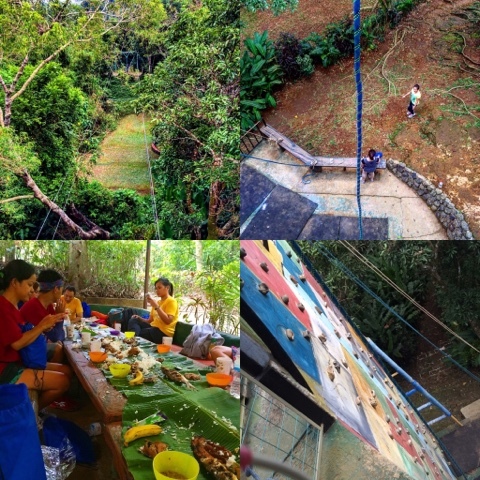 We did wall climbing, rappelling and a full obstacle course battling it out with different people. Aside from camaraderie, it was a way to have us cohesively work on our own little battles. It's much like the rules of survival as accorded by Bob Parsons Godaddy's Lifehack which includes going out of our comfort zones, not giving up, reasons to be encouraged, moving forward and a whole lot more. Just like him, going through these hardships made us realize about the perks of having a common bond with your brethren. We also learned about the fruits of cooperation, having solidarity and the effects of boosting team morale. We're not the most athletic bunch, nor do we have the perfect chiseled physique to begin with. We didn't even know we were going through these hardships but we were optimistic about all the challenges they prepared for us. The good people from Pioneer also had us covered with Travel Buddy insurance via their Insure shop online so we're good for 30 days traveling on an adventure here or abroad should anything happen. We also had professional riggers and people from the camp to also help us feel secure with all our gear. Some other bloggers who were seasoned climbers also shared their expertise, giving us a view of what we were about to embark in. Everyone was both scared and excited if there's a term to define that feeling while most of us just had the urge to survive this ordeal. We all cheered for each other, found ourselves talking with each other even if we were once strangers. While it was a competition and we knew everyone was going through a lot, we began giving each other tips how to finish a task - and that built trust and confidence. There were cuts and bruises, but we finished them one by one. We started conquering our fears and began enjoying what was supposedly frightening in the beginning. It was a different case of accomplishment because we were doing it all as a team. It didn't even bother us we were wearing different colors because once we sat down for lunch, cheering each other for the tasks, it felt we were cheering for friends and not because we had to, but we wanted to. Yes, it's a tough life and yes it's all about survival. The difference is, we survived together. That marks camaraderie at its highest form, which hopefully would also be applicable in business when we all go back to our offices and see each other, in a good different way. Thank god for this day and the people we spent it with. We'll surely take the things we learned from camp in our lives and make it better.